This year, I made a more concerted effort to keep up with my weekly time-related quote on the Time Eternal Facebook page. I’ve been hashtagging these with #TemporalTuesdays because I always post them on that day of the week. 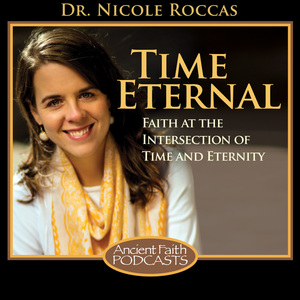 It’s the biggest-littlest thing I’ve done this year to engage with readers and churn up fresh thoughts about the way we encounter time in our daily lives. Here were the top five #TemporalTuesdays quotes of 2017, based on likes and other engagement from you folks. Enjoy–and Happy New Year! 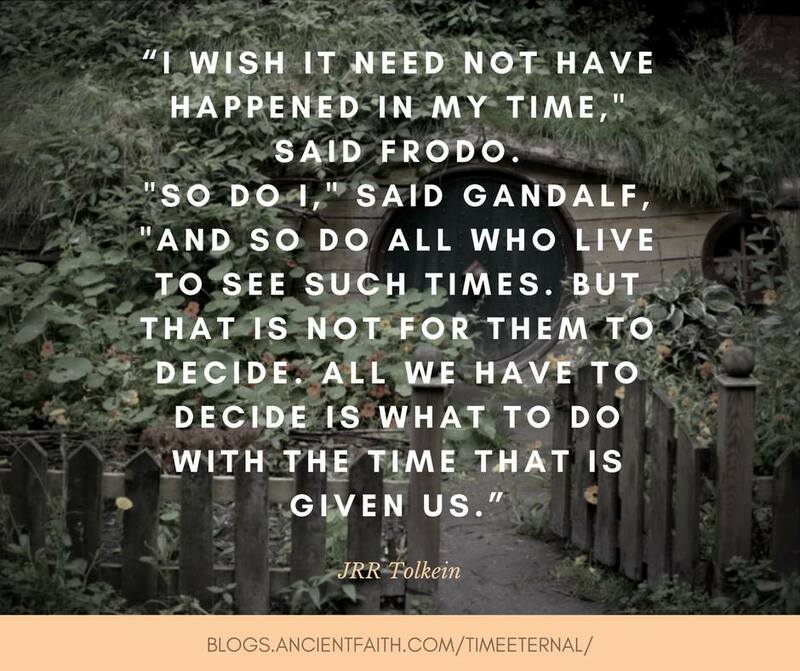 #1–Source: JRR Tolkein, Fellowship of the Ring. #2–Source: Fr. 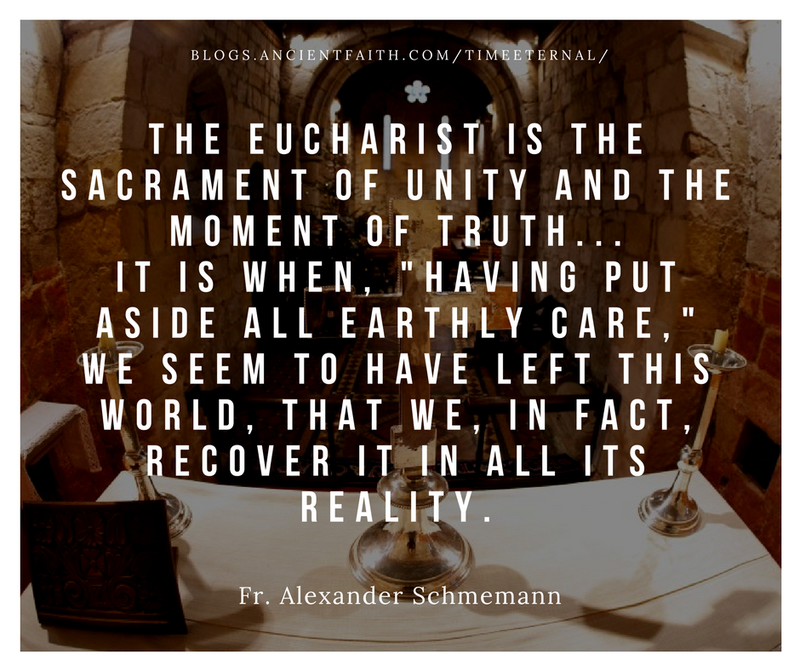 Alexander Schmemann, For the Life of the World. 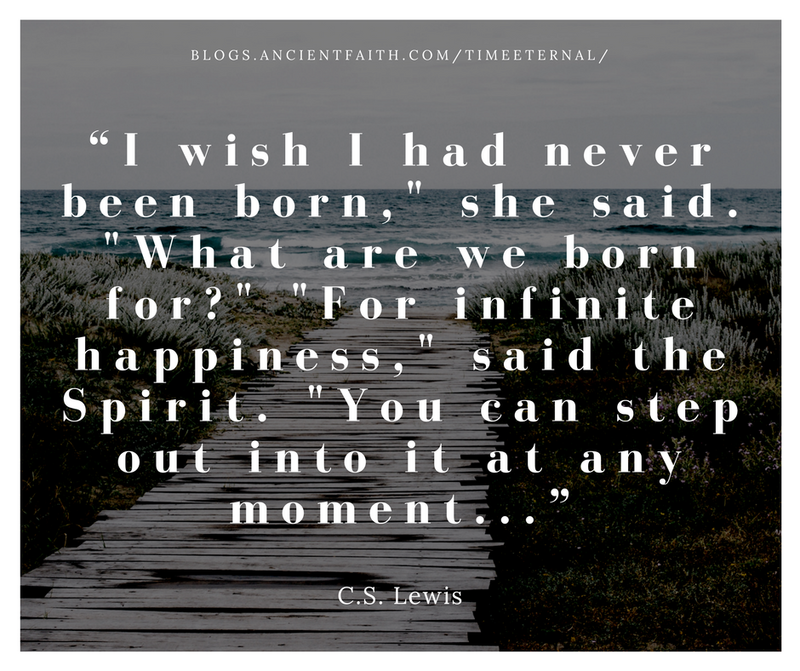 #3–Source: CS Lewis, The Great Divorce. 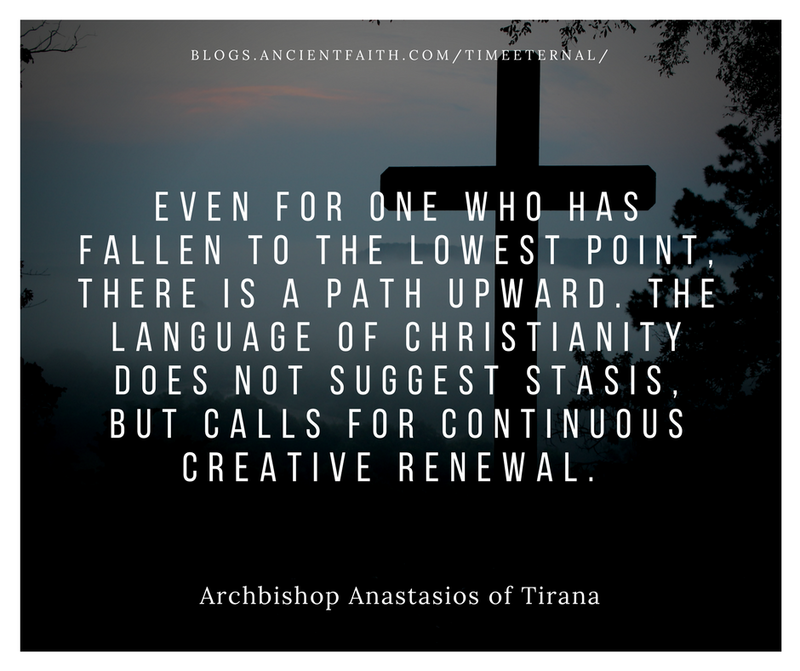 #4–Source: Archbishop Anastasios (Yannoulatos) of Tirana, “The Dynamic of Universal and Continuous Change: The Testimony of the Three Hierarchs on ‘Change for the Better’,” in Facing the World (St. Vladimir’s Orthodox Theological Seminary Press, 2003). 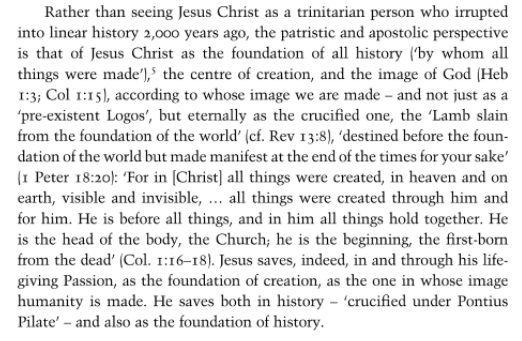 #5–Source: Peter Bouteneff, “Christ and Salvation,” in The Cambridge Companion to Orthodox Christian Theology, 96. If you like #TemporalTuesdays, make sure to like the Time Eternal Facebook page so you have a better chance of seeing these on your newsfeed in 2018! Oh, I love these. Each one opens the door to so much. Great and encouraging quotes! Thanks so much for sharing here!